Online reviews are extremely important for businesses today. Not that long ago, reviews were mainly a concern to certain businesses such as restaurants and hotels. Now, however, customers leave reviews for all types of businesses, whether you have a storefront or provide a service. 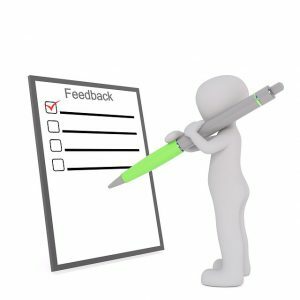 While good reviews help you attract more customers, a negative online review reflects poorly on your business. If you do see a negative review, don’t panic. Here are some steps to take if you get a bad business review. If you see a bad review of your business, don’t just ignore it. On the other hand, don’t respond in an angry and defensive tone. Consider the issue and answer in a reasonable manner. Apologize for any inconvenience and offer to remedy the problem to the best of your ability. In some cases, this will satisfy the reviewer and he or she will take the review down or amend it. At the very least, it shows your other customers that you care and that you’re doing your best to satisfy everyone. No matter how hard you try to please your customers, some people will write negative reviews. You can’t control this. However, you can solicit more reviews from satisfied customers. Do this by asking for reviews in as many ways as possible. Place links or buttons to review sites on your website. Post signs if you have a storefront business. You can even write a suggestion such as “please leave us a review on Yelp/Google/Angie’s List” on your business cards, flyers and other promotional material. As positive reviews add up, the negative ones carry less weight. It’s easier to please the vast majority of your customers if you have consistent quality control measures in place. For example, train customer service representatives, whether they deal with customers in person, online or by phone, to be courteous and helpful. Provide employees with a checklist that guides them for dealing with all types of scenarios. It’s also good to document all transactions and interactions with customers. This way, if a customer makes a false claim, you have proof that you aren’t to blame. In some cases, a customer who writes a bad business review has valid points. If this occurs, don’t overlook this opportunity to make some essential upgrades to your business. You may need to make improvements in a product or service or the way your staff interacts with customers. In this case, use the bad review as inspiration to do better in the future. Nobody wants a bad business review. However, they are a fact of life. Rather than hating and dreading them, try to see the indirect benefits they bring. They encourage you to improve your business practices to get better reviews in the future. They prevent you from taking your customers for granted. Do everything you can to collect lots of positive reviews. However, when you do see a negative online review, see it as a learning experience. If your business is growing and you’re looking for some capital to help you manage your growth consider invoice factoring with Riviera Finance.